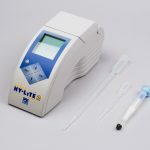 The HY-LiTE® Luminometer is the electronic meter required to use the HY-LiTE® Fuel Test Kit Pen system, which can be used to detect microbial contamination in less than 10 minutes. Results are displayed digitally on the screen of the meter and can also be printed via the internal printer. The product works by assessing the presence and concentration of something called Adenosine-Tri-Phosphate (ATP) in water and hydrophilic particles associated with fuel. ATP is something all living organisms use as an energy store. The presence and concentration of ATP detected in the sample is then used to give an indication of the amount of active microbiological contamination present within a sample. The Fire Fly uses the energy rich phosphate bond of ATP to produce light by way of its enzyme system; luciferin – luciferase. 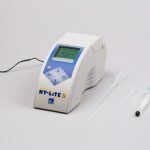 By utilizing the Fire Fly enzymes in the pens, the HY-LiTE® Fuel Test Kit Pens system measures light produced which is proportional to the amount of ATP present in the fuel or water sample tested. 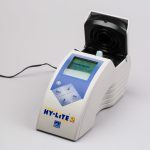 Hence light measurement, measured as Relative Light Units (RLU) can be used to determine the concentration of ATP present in the original sample. RLU are not SI units and therefore only Merck® manufactured test pens should be used in Merck® Luminometers. Full instructions are provided with the system so technical staff can use the system with ease. 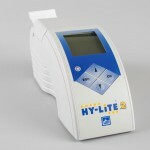 The Luminometer is battery operated and access to mains electricity is only necessary for recharging. Luminometers can subsequently be recharged from either 110V or 240V AC supplies. Please note: in order to use this product you will also require the HY-LiTE® Fuel Test Pens. This product is supplied as an individual item (complete with carry case). HY–LiTE® is a registered trademark of Merck KGaA, Darmstadt, Germany. Does the Luminometer require an annual calibration? 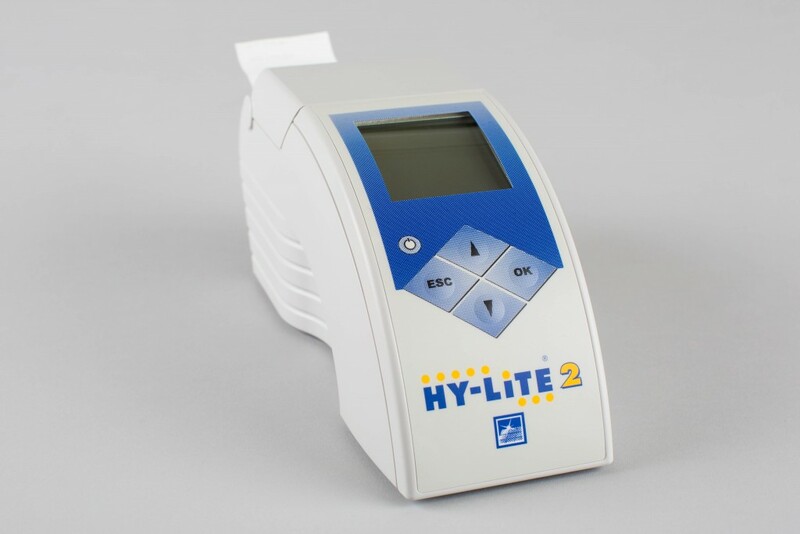 The Hy-LiTE® Luminometer conducts an internal self calibration check each time the unit is switched on. If the meter does not preform within the manufacturers set parameters the meter will display an error message requesting it is return to the manufacturer for maintenance. Repair and re-calibration outside of guarantee period is a chargeable service. It may be possible to arrange a loan unit during the repair period, please request one if needed. How robust are the Luminometers? In our experience the Luminometers function without error for many years and the manufacturers will repair units should they become faulty. You now have the option to either proceed straight to our Request for Quote (RFQ) submission screen, or continue browsing our range of products. If you are not ready to submit your RFQ, or you would like to add additonal product lines to your RFQ, then please select Continue Browsing. If you are happy with the quantity selected and would like to Request a Quote immediately, please select Send Request and you will be taken straight to our RFQ submission screen. 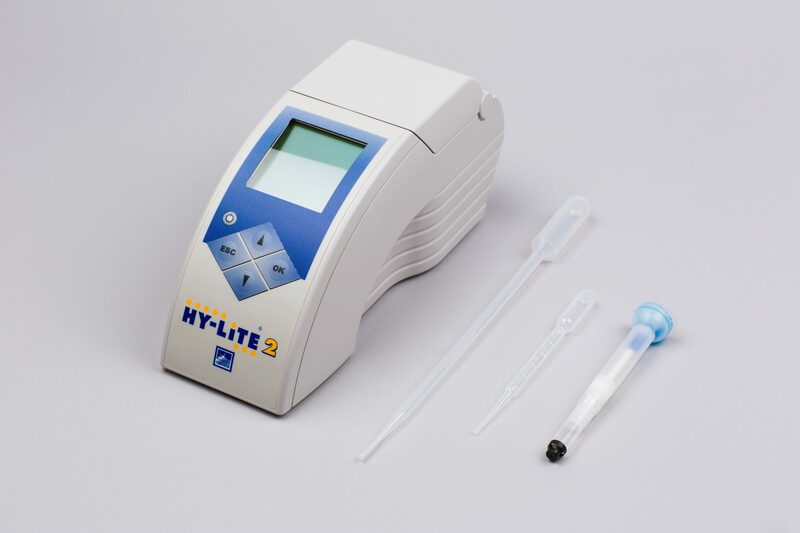 Where water phase is present or fuel contains suspended water droplets the HY LiTE system provides a rapid screening test for microbial contamination. Our products are available globally via our Authorised Distributor Network shown below, but if your local region and/or Market Sector is not listed, please contact ECHA directly to discuss your supply options.